Home / breaking news / science / spirituality / WHY ARE THESE 32 SYMBOLS FOUND IN ANCIENT CAVES ALL OVER EUROPE? Genevieve von Petzinger is a Canadian paleo-anthropologist and researcher of rock art. Her area of expertise is Ice Age cave art in Europe from between 10,000 and 40,000 years ago. 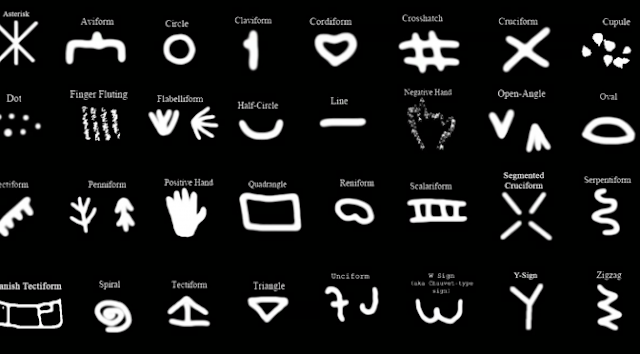 Specifically, von Petzinger focuses on geometric signs found in many of these caves. She thinks that these offer an opportunity to understand the evolution of the human brain, notably in the origins of symbolism and graphic communication, and track ancient migration patterns. For this research, she has garnered international recognition and was selected as a TED Senior Fellow in 2013. Look for her latest book about this amazing period of human prehistory coming out in May of 2016.